During the early noughties, retailers cut the amount of direct mail they were sending customers. Why? Because, following the onset of digital marketing, the idea of investing huge amounts of time and money in sending catalogues to an entire customer base seemed silly. So why is this vintage marketing hack now making an epic comeback? To begin with, there’s the obvious point that it’s only human nature to enjoy receiving tangible gifts or handwritten notes in the post. Just look at the Dear You Project, a project set up by an Italian designer who missed good old fashioned letters so much she decided to send 80 letters to 80 unknown addresses and share the journey on social media. But nostalgia isn’t the only reason. 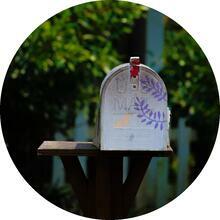 The primary reason direct mail is cool again is because of data; vast sets of data which can be accessed, consolidated and stored in one platform, ready for a marketer to segment and form what we now call the single customer view (SCV). By having a detailed understanding of each and every customer, marketers today can rest assured their direct marketing is being sent to the right group of people, at the right time, in order to bring about a specific action. To give you some inspiration, here are six examples of brands using data and technology to send awesome direct mail. With the tagline “Fast fashion. With a conscience,” Nobody’s Child is a modern ecommerce fashion brand that launched in 2015. Born into the technological age, it’s no wonder their marketing is consistently on-point; online and offline. 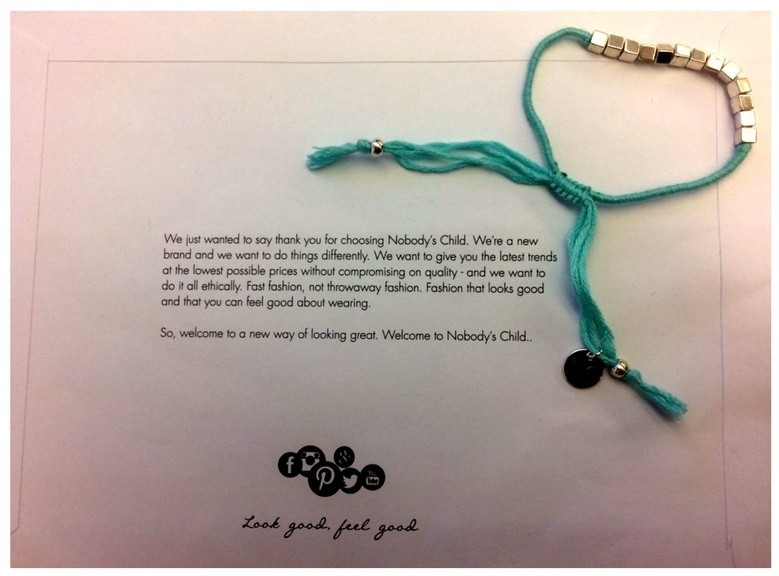 With its strong brand values about looking after the environment, Nobody’s Child is *not* about sending pointless flyers post, but what it *does* do is send new customers a little bracelet along with their first order to say thank you for joining their club. Following a second purchase, new customers don’t receive this little note and present—proving it’s a data powered exercise that’s targeted only at those who have never shopped before. Never take your social media followers for granted. Why? Who else is going to shout about how amazing your products are and interact with your posts. Take Nina Ricci, for example. To mark Valentine’s Day, the brand hosted a photo-sharing campaign inviting followers to celebrate not love but friendship by visiting their site and uploading a picture of themselves with their bestie. The photo was turned into a gif, decorated with funky illustrations by artist Ana Strumpf. Now for the direct mail part. Once the gif had been created and sent to a follower’s email, recipients were then invited to give their postal address in order to receive free Ana Strumpf badges and a postcard saying "merci" (both shown below). This enabled the brand to gather important contact details about a customer (or potential customer), join up different the touch points and interact with them in a cross-channel way. If you thought retargeting campaigns were an online phenomenon, think again. 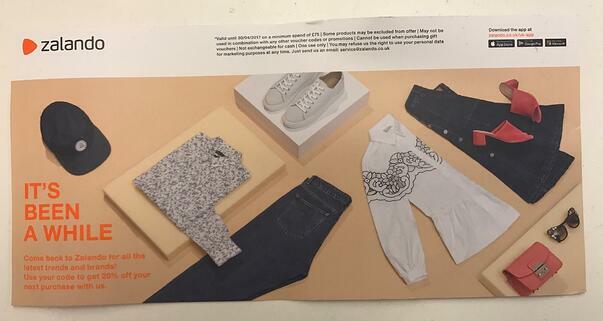 Despite being a pure play brand, Zalando uses direct mail to reach out to lapsed customers and invite them to return to the site and discover “all the latest trends and brands”. As shown in the example below, Zalando also adds a discount code to this direct mailout. Data-driven marketing royalty, Lost My Name (MN) delivered an awesome direct mail campaign a few years ago that still has Ometrians talking today. The start-up, which specialises in personalised children’s books, randomly selected a group of its customers that had bought a specific product *and* whose child had a first name starting with a specific letter. The LMN team then uploaded those customers to its offline system, and sent them a personalised postcard. Since then, LMN has become known for its data-driven direct mail, which is sometimes shared on social media. Psst, if you like the idea of handwritten notes, check out this interview with Lost My Name’s former head of loyalty, Ira. As discussed in a recent post, today it’s all about using data to wish your customers a happy birthday. Whilst our post focused specifically on birthday emails, it’s great to see that brands are also sending customers messages and invitations in the post. The below instagram post is a case in point. The caption translates to “direct mail arriving every year on my birthday”. Okay, so the WSJ isn’t a retailer, but we couldn’t resist including this example of (what appears to be) a direct mail campaign (unfortunately we couldn’t find any information available online to verify this). Judging from the two Instagram posts we stumbled across (shown below), it *seems* the WSJ marketing team may have used locational data to target “true New Yorkers” to subscribe to their newspaper. Judging from the captions on each, they didn’t do a bad job. Personalised post-purchase discount: Send customer’s who have recently bought with your brand a unique coupon code in post with all evidence of personalisation; for example, discounts on items they have shown interest in before and incentivising a cross-sell. Three brands doing this well are Amara, Photo-Box and J.Crew, who once sent out stylish catalogue that inc. a discount code that could be used online and offline. “Treat a friend” campaign: I recently received two free yoga passes through the letterbox for a class taking place in my local neighbourhood. The result? A brand new customer. Welcome kit: Truly Experiences sends customers a box once they’ve purchased experience. Great way to enhance the customer experience and get customers talking on social. Magazine subscription for select few: ASOS only sends its magazine to its very best customers (specifically, only those who have reached a “level three” on their points based system or above). Invitations to exclusive events/sample sales/talks: You can also use direct mail in a more subtle, creative and clever way to promote any events your brand has coming up. 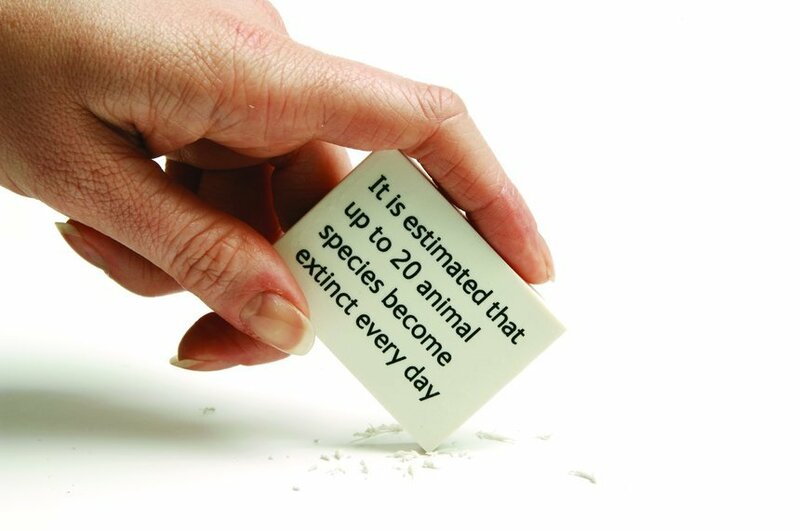 For example, in 2006 the Natural History Museum delivered a limited number of erasers (shown below) to promote talks it was holding at the Darwin Centre on the topic of extinction. Target seasonal shoppers only: It might be too expensive to send all of your contact base a Christmas catalogue, so use data to identify those who only shop around this time of year and only target them with directly mail. After all, the future is cross-channel—and one of those channels is direct mail. The legal stuff … To remind yourself of the legal rules and regulations surrounding marketing today, click here.